Stuart is one of the founders of BHW Limited and currently holds the post of Director. He is widely known in industry, the public sector and academia for his expertise in Systems Thinking and Systems Engineering. Stuart is recognised for his pragmatic approach to Systems Thinking and Systems Engineering and his ability to explain how to actually do practical Systems Engineering. For the last 17 years Stuart has worked with a large number of clients helping them improve their Systems Thinking and Engineering. This has been through the design and delivery of training courses, coaching and facilitating individuals and project teams and undertaking research into Systems Engineering and System Thinking. Stuart is also a Six Sigma Master Black Belt with particular expertise in Design for Six Sigma and Robust Design. Click here for full profile. Is a senior consultant with BHW Limited and is widely known in industry for his expertise in a Systems Approach to Lean and Six Sigma. He is recognised for his pragmatic approach and his ability to explain complex things simply. For the last 22 years Keary has worked with a large number of clients helping them to improve their customer facing and internal processes. This has been through the design and delivery of training courses, leading, coaching and facilitating individuals and project teams involved with Process Improvement. Click here for full profile. A member of Burge Hughes Walsh Limited since 2013, who has a successful track record in industry, where his ability to use Systems Engineering on complex problems allowed delivery of robust through-life solution while coordinating and facilitating large teams for both short, and long, term goals. He has worked in Engineering Industry since 1987 and has always been pragmatic in approach, applying theory and understanding before solution. This has spanned a number of companies, and industrial sectors, always improving their design capability through the application of Systems Engineering. Click here for full profile. Is a consultant in BHW Limited who has a wide range of experience with a variety of businesses in a career spanning more than thirty years, from Engineering Project Management to Sales and Commercial positions, serving large multi-national corporate clients to small family businesses around the world. Tom is a passionate advocate for training in the application of Systems Thinking and Systems Engineering by any business or organisation, irrespective of size and complexity…‘They are such powerful methodologies, enabling any business to design their own Systems whatever they may be (e.g. Organisation, Factory Layout, Department, Project, Product or Service) and to deliver right first time – I just wish I had discovered them earlier in my career!' Click here for full profile. 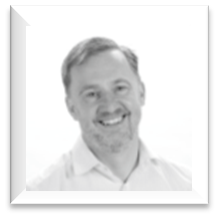 Stephen was a founding Partner of BHW partnerships, and is now an associate with BHW Limited, a successful consultancy formed in 2000, which has helped a considerable number of businesses improve their performance. He is an experienced trainer and consultant in the field of process improvement, including Lean, Six Sigma, Continuous Improvement and Systems Thinking. The continuous improvement approaches developed by Stephen are based upon a systems perspective, where the need to understand purpose and context underpin successful implementation. He specialises in transferring the skills of process improvement (or ‘customer satisfaction improvement’, as he prefers to call it) to client personnel by combining technical training with train-the-trainer and facilitation skills programmes. Examples of his work include the roll out Rapid Improvement Workshops at the Office for National Statistics; embedding Continuous Improvement in the daily activity of staff at Aberdeenshire Council and in the General Register Office; the development of Yellow, Green and Black Belts in both the public sector and private sector manufacturing companies and the building of problem-solving skills in a large power generation company. He has facilitated many workshops in local authorities which include Stirling Council, Aberdeen City Council and East Lothian Council, often dealing with very sensitive issues. Click here for full profile.